Ocean Beach, or OB, as it’s known to residents, is a small beach community just south of the San Diego River channel and Mission Bay. Accessibility: •Beach Wheelchair: Yes •When lifeguards are on duty–generally 9 am to dusk in summer, 9 am-5 pm in winter–a manual beach chair is available on a first-come, first-served basis. •Pick up at main lifeguard station, 1950 Abbott Street. 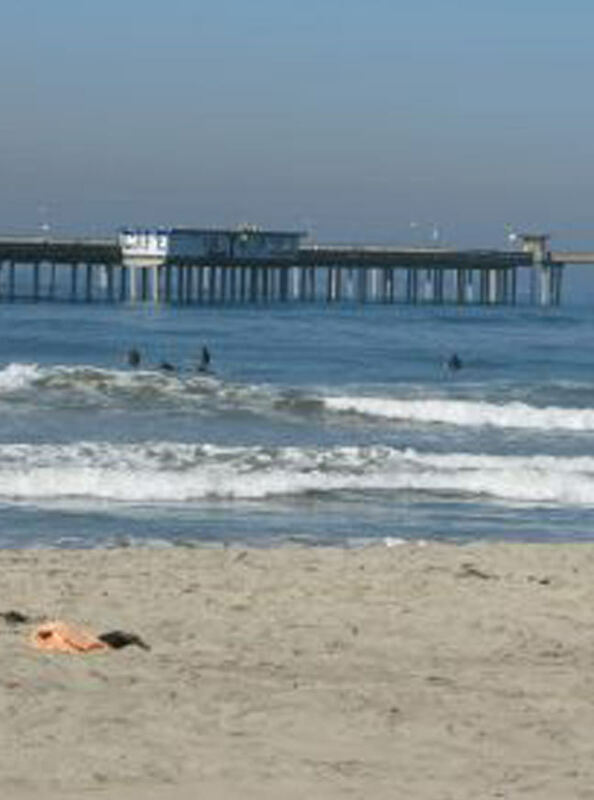 In summer, a rubber walkway is often laid out near the main lifeguard station, allowing limited access to the sand. •Accessible Parking: Yes •Lot at Abbott Street and Newport Avenue. Street parking at foot of pier (end of Niagara Avenue) has designated spaces but no access aisles. •Accessible Restroom: Yes •On pier, near café. The women’s restroom by the lifeguard station has no room for a lateral transfer but is otherwise accessible.